When you first meet Danielle Michon, she immediately stands out. Not just because she is a native French-Canadian native living in the small town of Valladolid, Mexico, but because she radiates positivity and compassion. To call her an active volunteer in her community would be an understatement, her passion to help stray and abused dogs in Valladolid has become a 24/7 job. Danielle’s life reads much like an adventure novel. After finishing her degree in sexology at the age of 25, she felt too inexperienced to provide guidance for such challenging issues such as abuse. Instead, she decided to travel to gain more life experience, moving to Mexico to work for a tourist company in Mexico providing guidance for French-Canadians travelers. Since then she has owned a bed and breakfast, a boutique and worked at a English Language library, but she has never gone back to sexology or to Canada. While living in Puerto Morelos, Mexico, she began to become involved with local sterilization campaigns to manage the stray dogs that roam the streets throughout Mexico. She worked with other foreigners and locals to rescue dogs and provide good homes. When she moved to Valladolid six years ago, she was shocked to see overwhelming number of dogs in the streets that were starving, bleeding, and diseased. Unlike in Puerto Morelos, no one in the community was working address the problem. The cause immediately tugged at her heartstrings and she decided this was the project she had been looking for. One day a woman came into Danielle’s boutique and said that she had seen her walking her dogs every day and asked if she wanted to start an organization to help the dogs of Valladolid. Her first big success was a three day sterilization event in which over 300 dogs were spayed or neutered. But after a year of working with this organization, she realized that they were mainly providing free service to dogs that were already off the streets and in good homes. 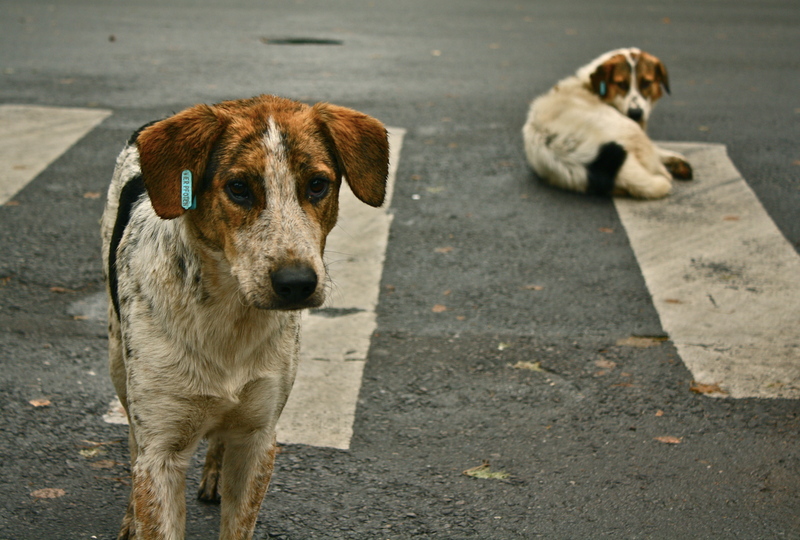 Danielle wanted to focus more on the dogs struggling to survive in the streets. She then created Asociación Protectora de Animales de la Calle con Conciencia Cariñosa (APACCC) to help stray dogs and dogs that are being neglected or abused. According to Danielle, it is not enough to help abused animals, one must also educate about how to treat animals with compassion. There are numerous prevalent misconceptions about dogs and spaying and neutering which have led to estimated hundreds of thousands of strays in the Yucatan. Many Yucatecans believe that letting dogs into the house is unclean and will spread diseases. Others believe that dogs do not need consistent care and that they should be left to wander the streets and find their own food, resulting in dogs with owners unspayed and wandering the hot streets. Danielle works with other members of APACCC to take care of as many strays and abused pups as she possibly can, bringing them into her own home. She then gives them two or three days to rest before bringing them to the vet to get spayed or neutered then continuing to care for them until they recover. She then tries to discover if they have an owner. If the dog wanders back to a home, she evaluates if the home is safe for the dog and if the owners are able to properly care for her. If the home is insufficient, she begins to seek a better home for the dog. Danielle’s biggest struggle is maintaining a normal work and social life when there are always more animals that need help. She has dedicated an incredible amount of time and money to the cause. As I sat down to speak with her, I saw this firsthand as she received a desperate plea for help mid-interview. The small pup of one of the students that volunteers for her organization was attacked by a larger dog. The student called pleading for her help. Danielle reminded the student that she was not a veterinarian, but that she would do whatever she could do to help. Minutes later, a car pulled up in front of Danielle’s house with the student and his mother cuddling a profusely bleeding dog in their arms. The sole veterinarian in the town had refused to help because it was the weekend. It was clear that without immediate assistance, the dog would not survive until Monday. Danielle did all she could to help, providing advice and giving the family a plant wrap that could help to stop the bleeding. She assured them that if they followed her advice, their smallest family member would likely recover. After an hour, the family left promising to keep Danielle updated on the dogs progress. Two years ago, Danielle received a request to help care for a dog that a Canadian tourist had seen on the street. The tourist fell in love with the dog and simply wanted to make sure it it received proper care when she returned to Canada. She financed the care of the dog and Danielle provided all of the rest. Months later, the woman returned to Valladolid to take home the fully recuperated dog. Since then, Danielle has helped to send around 53 strays from Valladolid to happy homes around the world. Still, Danielle acknowledges that there is still an overwhelming amount of work still to be done. She has adopted seven dogs with additional foster dogs residing in her house at all times. Now she is working to rent places to house more rescues and to utilize Facebook to spread the word about her organization's work and to collect more donations. When asked about the future of her organization, she says that her hope lies in the youth of Valladolid. They have been the most receptive to her education on how to properly care for dogs and the most motivated continue her efforts. Danielle’s trainings go beyond just specific animal care, focusing on teaching the importance of awareness of what is around them and that they need to have compassion, forget about their own worlds and be generous with their time. She predicts it will be another ten years before systematic change is made, but she still has hope. “I want to believe that the seed I put in the ground five years ago will see a change in society here and that people will be more aware. I hope that the next generation will be a better one. People will only decide to have a dog if they have the money, time, space and the desire to connect with the dog.” Though she struggles with her own inability to help every dog, what brings her true happiness is seeing the dogs she has helped to rescue finally being happy and healthy. The only way to stop the increase in the number of strays in the Yucatan is to help one dog at a time. If you would like to learn more about APACCC you can find the organization on Facebook under the name APACCC Valladolid.